Learn how to build the ultimate away team in this week’s STOked! 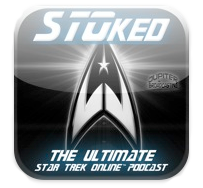 The guys just got their hands on the first episode of STO’s latest weekly “Devidian series”. We review how the first episode it went, what we thought of the Devidians. Plus we loose our minds over the fancy new Drozana station, and give you a full tour! Head over to Eta Eradani (Drozana/K7 area) to get it started. Welcome back to MATH! Did you miss me? Because I missed you, and your beautiful curious face holes. Today I’ll be attempting to list out some major tips for assembling a KILLER away team, capable of conquering even the most fearsome of odds. I wanna clarify we’re talkin’ Ground Combat only, without teammates. That’s right, ladies & germs – we’re flyin’ solo! Before I get into the guts of who to bring and how to train ‘em, I wanna make a point that I see frequently overlooked by my fellow players. Your boffs are YOU. They are your equipment, they are your talent spec, they are your success or failure, wrapped up in an AI package. Neglecting them, and expecting success, do not go hand-in-hand. The first tip I have for you may sound like simple common sense but is nonetheless extremely important: ALWAYS BRING A MEDIC. I’m not talking about a wimpy science officer that happens to have one or two heals trained. I mean a DOCTOR, Jim, not a school nurse. In addition to keeping the health of your team topped off, your shields should be a high priority. A second slot on your away team should be assigned to an Engineer that specializes in recharging your shields, and reducing incoming damage. At least one Shield Recharge ability is an absolute must. I also recommend buffs like Quick Fix and Equipment Diagnostics. Many like to load up on turrets and medical generators, but it’s my personal recommendation to avoid stationary buffs like these as they inhibit your freedom of movement for enemy flanking, or hazard avoidance. While we’re talking Engineers, I want to caution you to never ever ever give them the ability “Cover Shield.” Due to them being honorless p’tagh that will hide behind the shield, not returning fire, doing nothing. Once you have these necessities covered, the remaining makeup of your team is kind of up to you. One possibility is to invest in an additional support character, such a Science boff that specializes in curing ailments and doling out buffage (using abilities like Dylovene and Melorazine). A personal favorite of mine, is to train up a sturdy Tactical officer (one with good defensive innate traits like Sturdy, Peak Health, or Aggressive) with abilities that turn him into a walking target dummy — Draw Fire, Overwatch, and Motion Accelerator, with a touch of Lunge or Leg Sweep to force him into close contact with the enemy. What it all comes down to is this: Each of your Away Team Officers needs a specialty. They can never good at everything, so instead make certain that they are good at ONE THING. VERY GOOD AT IT. If you try to get your boffs to have a wide variety of skills, they’ll never be good at any particular role. It’s wiser to focus, and allow each officer to excel in their niche. Now, that’s not to say that this is the ONLY way to build a team. I’ve heard success stories of Tactical captains rolling around with teams of nothing but medics. Or Fabrication Engineers using a squad of engineer boffs to beam down entire armadas of phaser turrets and support drones to mow down oncoming enemies. While each of these has their own merits, they don’t offer much in the way of variety. And as they say, Variety is the Spice of life. And the spice must flow. Wait, wrong franchise.